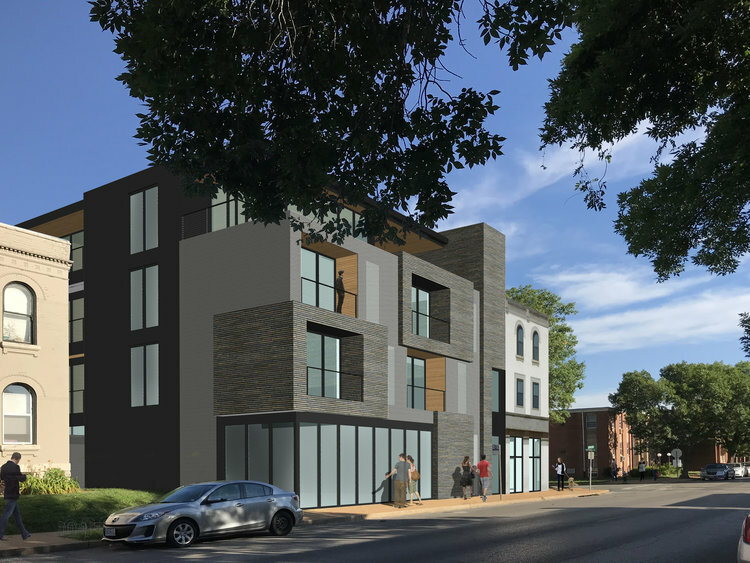 At the end of July, plans were announced for a $3.7 million mixed-use development at 3201 Morganford in Tower Grove South. 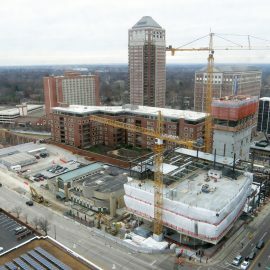 The project includes 20 market-rate residential units and street-level retail in a unique blend of historic and modern architecture. 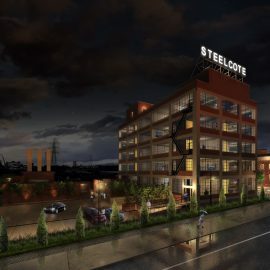 The architect is JEMA, and the developers are Kyle Howerton, Rob Maltby, and Michael Anderson. 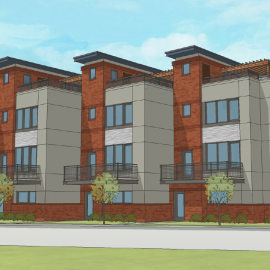 The project will break ground just one block away from the same team’s $6.4 million, 26-unit mixed-use development at 3172 Morganford, which is currently underway. 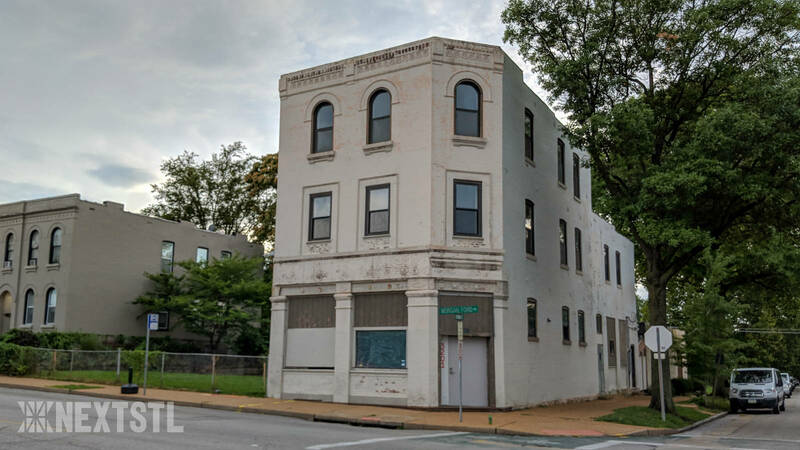 Tax records reflect an acquisition price of $325,000, which includes the existing 3-story brick building and adjacent lot. 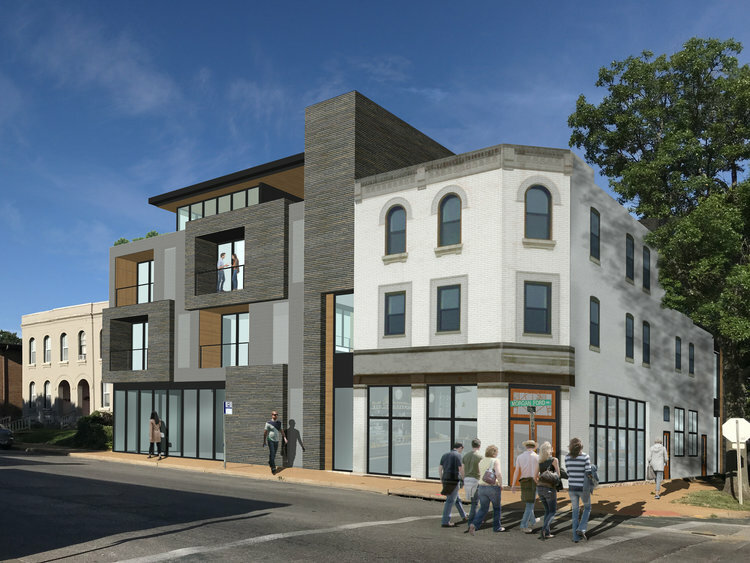 The project includes renovation of the extant structure as well as a new, modern 4-story structure to the south, resulting in 20 residential units and street-level retail space. 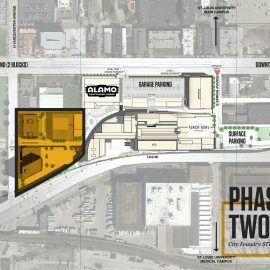 The project is being considered for 10-year, 95% tax abatement. The building at 3201 Morganford was built in 1902. 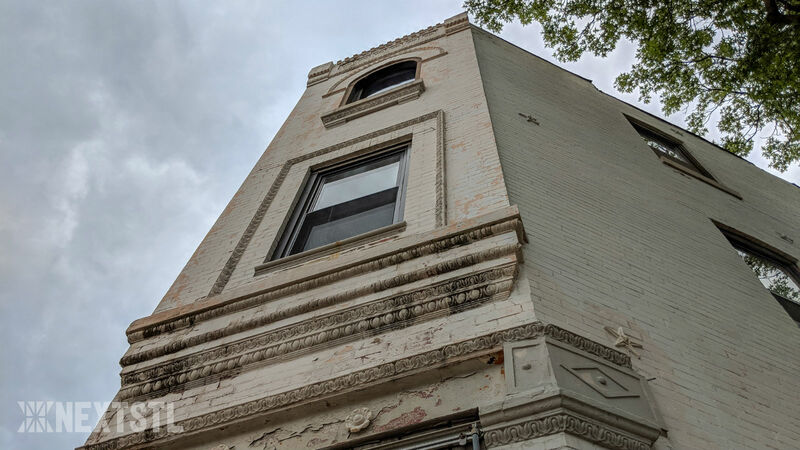 This corner storefront features intricate, intact brickwork along the east and northeast faces. 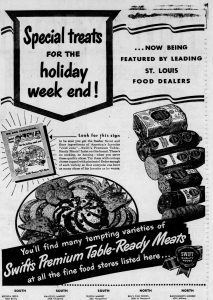 The first level was home to a variety of local markets and grocery stores throughout the 20th century, and later a daycare center. 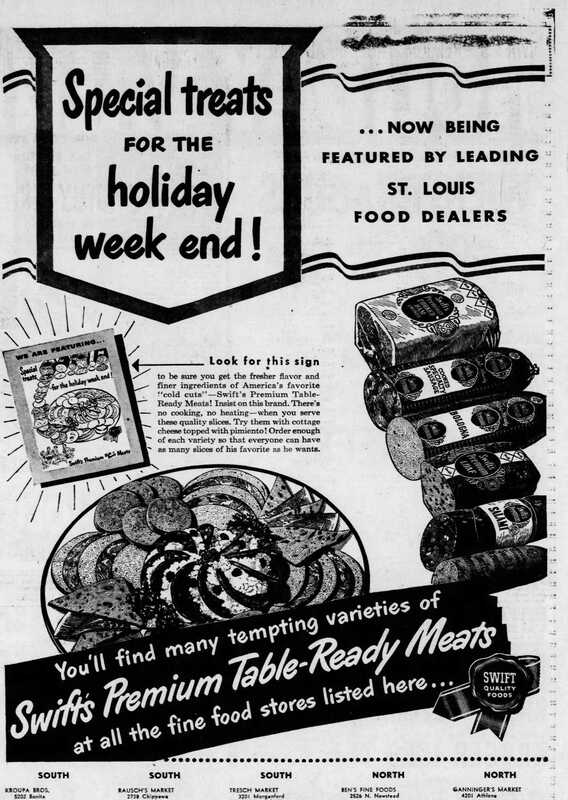 Tresch Market operated there in the 1940s; when proprietors returned from WWII, they found the building had sold, and they re-opened as Louie’s Market nearby at Humphrey and Oak Hill Avenue. Louie’s operated from the 1950s through the 1980s. Tower Grove South was historically a rural area; Compton & Dry’s Pictorial St. Louis shows largely untouched land. Morganford Road, which cuts south from Tower Grove Park through Tower Grove South, originally led to a ford on the River Des Peres owned by James Morgan (hence, “Morgan’s Ford”). 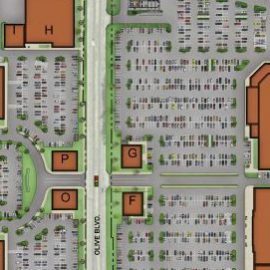 While the majority of commercial businesses and development projects have been on Tower Grove South’s parallel boundary roads of Grand and Kingshighway, Morganford was once a thriving commercial corridor. 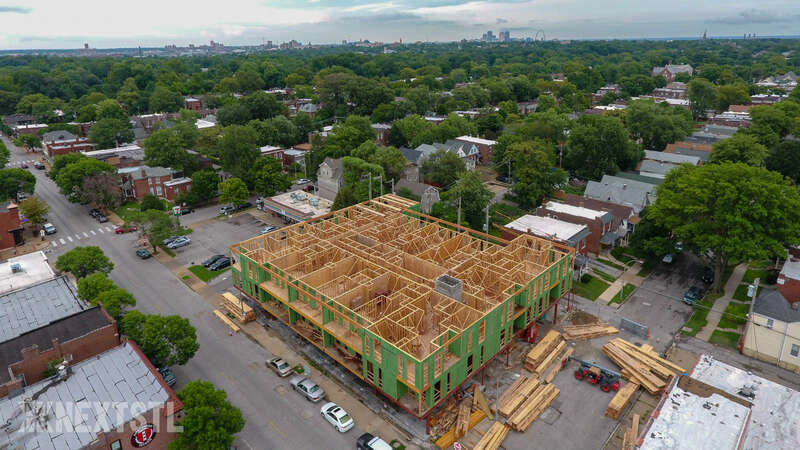 After a downturn in the 70s and 80s, the area is seeing a resurgence of development from large-scale new construction to the renovation of single-family homes. In the meantime, progress on the developer & JEMA’s project at 3172 Morganford continues, with an estimated completion date of winter 2018. Emily is a long-time St. Louis resident by way of Portland, Oregon. She has worked in property management, real estate marketing, and property development in and around the City since 2010. 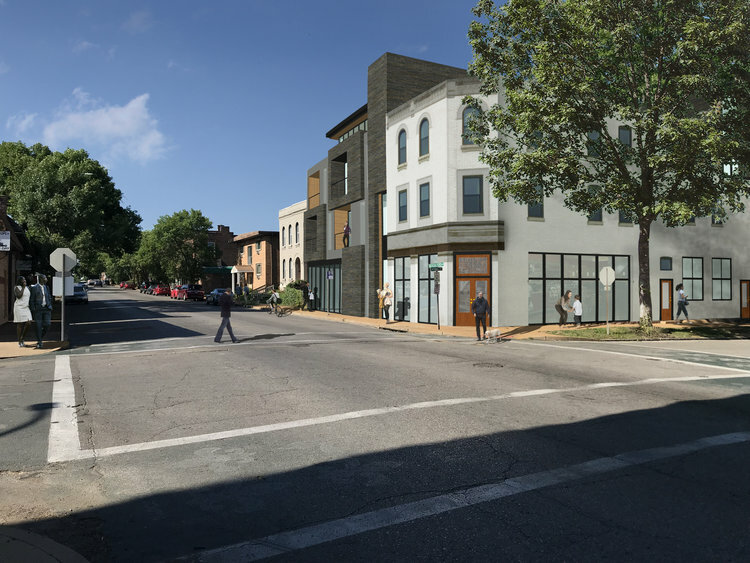 Emily works for South Side Spaces, a development company focused on historic renovations in South St. Louis.